Eric Krieckhaus recently commented the following on my post about Kahoot! “I taught until this year at a school that uses Kahoot quite a lot. So much, in fact, that the students experienced a form of “Kahoot-exhaustion”. They started answering questions as quickly as possible and at random. They weaker students, especially, would do this. It became less fun for them and more a vehicle for play. Eric raised such an important point that I thought it warrant a blog post by itself. Whenever I find a new tool, I get so excited about it, that the temptation to use it in every lesson is huge. But overusing it, not only lower the level of your teaching, but it also decreases the effectiveness of the tool. Let’s leave Kahoot for a moment and look at using Google for research. Sending kids to Google to find some information is an excellent idea. They get to do independent research and not only get familiar with online searches but also realise that they do not need to depend on the teacher as the source of all information. 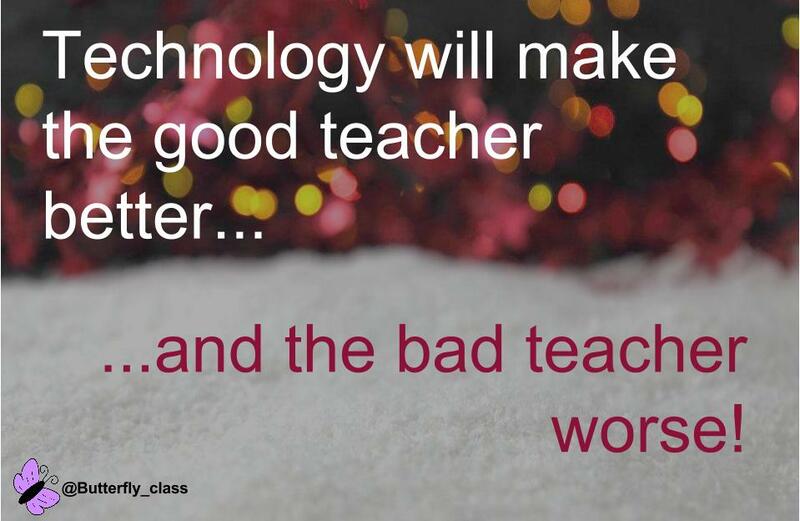 But if used indiscriminately in every lesson, it is more likely that the teacher is too lazy to prepare a lesson and now expect Google to be the teacher. The same can be said about Youtube videos. Videos can add a lot of value to a lesson, but if all they are going to do is watch videos, why even come to school? Youtube, Google, Kahoot are just three examples of online tools that can add value to your lessons if they form part of a well-designed lesson plan. But the activity must be designed to guide learners through the learning process in the most efficient and effective way. Otherwise, it just distracts from the learning experience instead of enhancing it. Eric also touched on the idea of Kahoot-exhaustion, which is also very true. I think we get all kinds of exhaustion, worksheet-exhaustion, lecture-exhaustion, test-exhaustion. While there is something to be said for routine and predictability, if every lesson looks exactly the same, learners quickly become bored. Today even more so than 20-30 years ago. There is nothing wrong with a worksheet, but if that is all you ever do, you have a very one-sided education. The same happens when every lesson consists of a Kahoot. So how much is too much? How do you determine if you are using a tool optimum or over using it? I try not to do a Kahoot more than once in a two-week cycle. I only use Kahoot if there is a specific point that I think Kahoot will illustrate best. I only use an activity when it fits into to the flow of the lesson. A few times I planned on a Kahoot, only to find the learners are so involved in their individual work that I decide not to disrupt them. I try to alternate online activities, with traditional teaching. The post about BlindKahooting explains how you can do that within one lesson. Other times they will consolidate what they learned in the Kahoot by making notes in the next lesson like we did with classifying quadrilaterals. These rules differ from tool to tool. Desmos, which the maths teachers will be familiar with, is very suitable in two chapters. So during that time we will use Desmos in about every second lesson. (I still alternate online activities with traditional ones.) But then weeks will go by without us every using it. The point of all of this is that there is no golden bullet in education. There is no single type of activity that suits all topics and all learners. Or maybe there is, a good teacher facilitating a well-planned lesson, utilising a variety of tools to bring their point across.